So, you’re looking for some fun crafts to do for girl’s night. Fall is about to settle in and wine and crafts go together almost as well as wine and cheese. 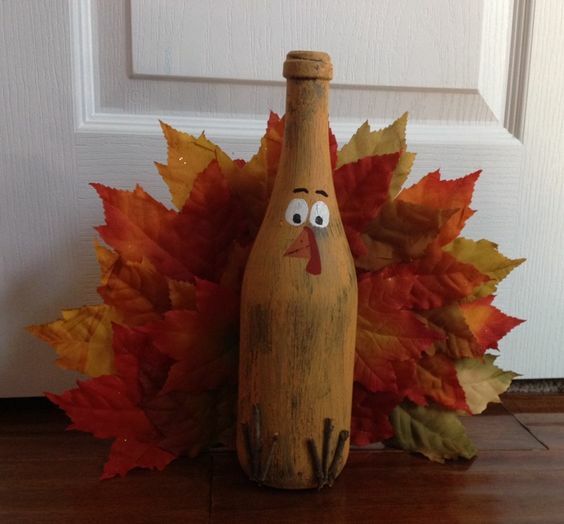 Here are some fun Fall Holiday DIY with wine bottles we’ve grabbed from Pinterest. Such a cute way to decorate for your Halloween Party! 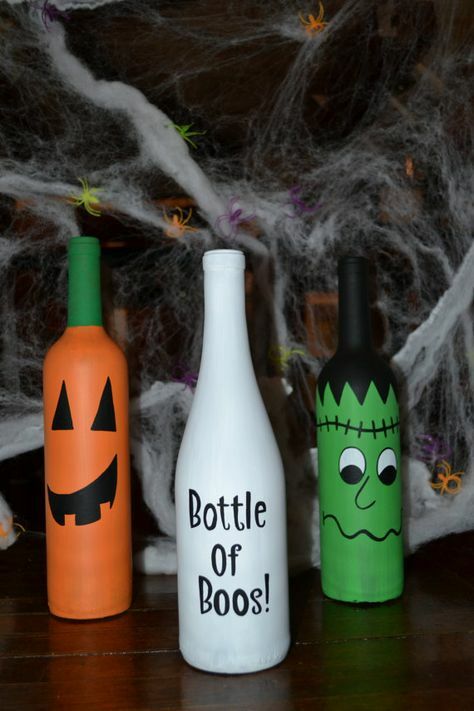 Start with a few empty wine bottles, some spray paint, acrylic paint, and go to town with these cute designs! 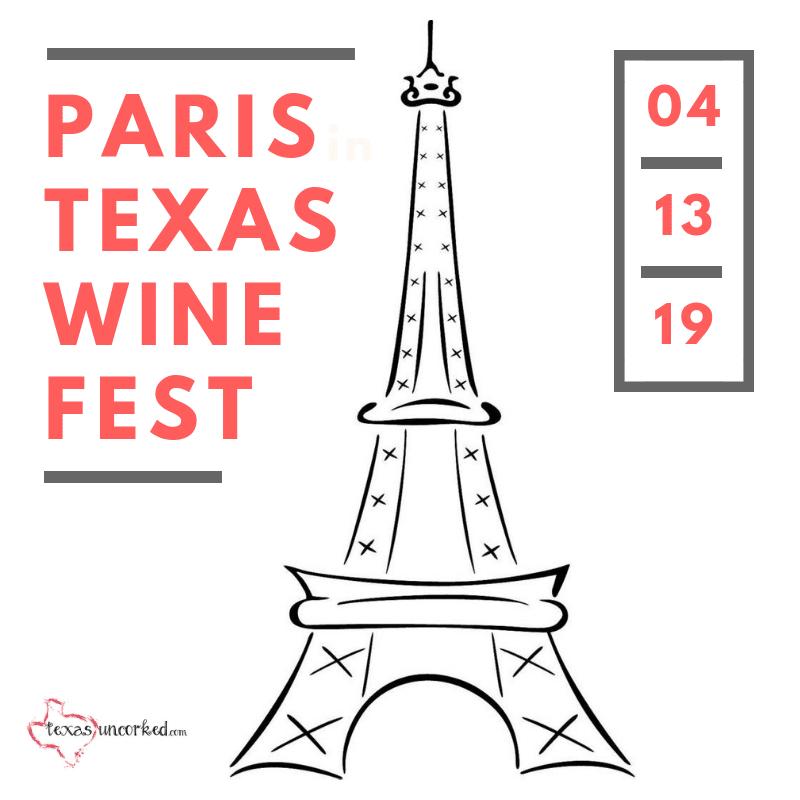 Empty Wine Bottles (from your fave Texas Winery, of course!) 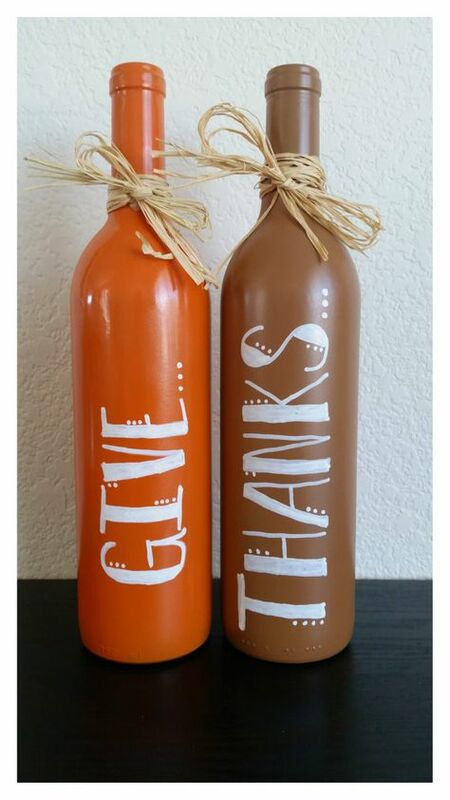 Orange spray paint + Brown spray paint + White Paint Pen = Thanksgiving masterpiece! This thing is cute as a button! Grab some paint and some fake leaves from your local crafts store and go to town! Your Thanksgiving guests will love it! 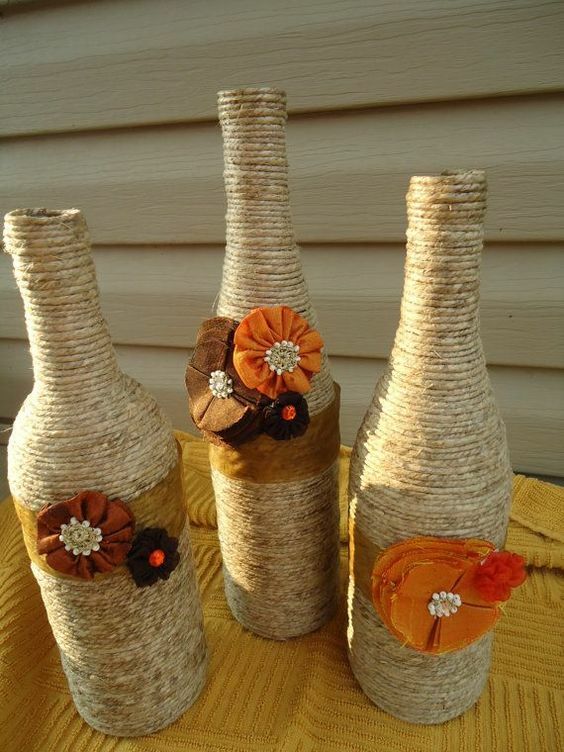 Dip that twine in some mod podge and wrap it tightly around some empty wine bottles. Adorn with some cute flowers and your fall table will be spruced up in no time! 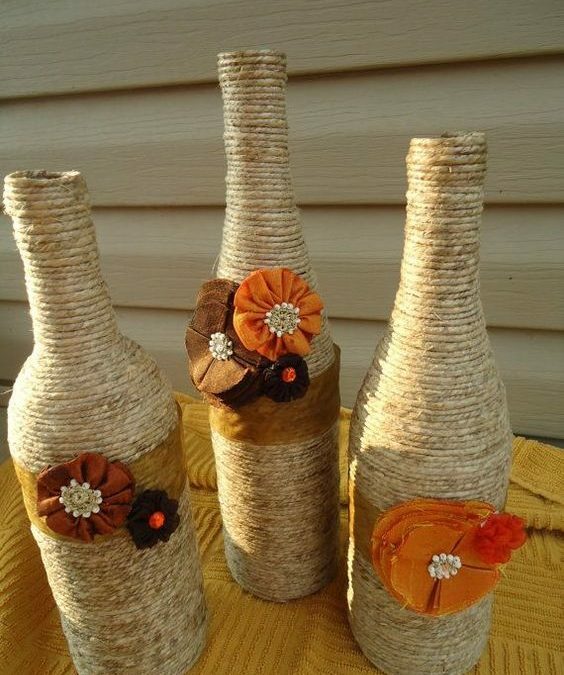 We hope we’ve inspired your inner creative craft goddess with these fun wine bottles! Until then, stay classy, friends!